Hilary Mantel became the first woman to win the Booker Price twice when the literary behemoth that was Wolf Hall was followed up by the equally considerable Bring Up The Bodies. And whilst we wait for the third part of her Thomas Cromwell trilogy – The Mirror and the Light – thoughts have turned quickly to adaptation. The BBC will be airing a six-part version by Peter Straughan in the future but the RSC have readied a theatrical interpretation of the novels by Mike Poulton which is now playing in the Swan Theatre in Stratford-upon-Avon. 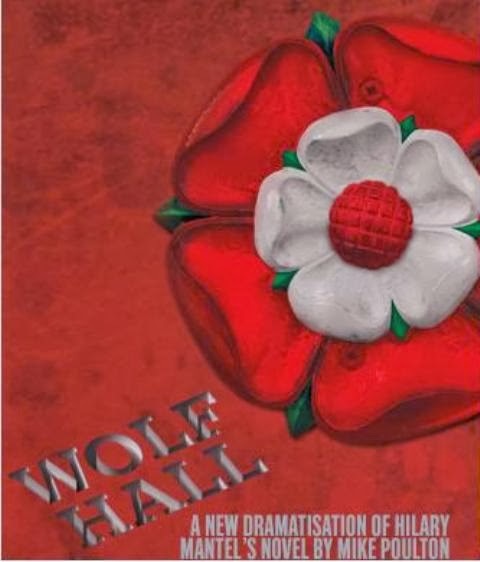 The shows can be seen separately, but are clearly designed to fit together (Wolf Hall has as close as the theatre gets to a cliffhanger ending!) and there are opportunities to see them on the same day. At first glance, they may not seem the most likely choice for staging – set in the court of Henry VIII as he looks for ways of getting rid of his first wife Katherine of Aragon so that he might plant Anne Boleyn in her stead, these are all-too-familiar events. But Mantel’s magic was to tell the story through the eyes and mind of Thomas Cromwell, the wily commoner who worked his way up through the ranks to become one of the most influential man in the realm. Additionally, her magnificent present-tense prose brought Tudor England to life like never before, a rich attention to detail making this universe feel new-minted, as if anything could happen, not just what the history books say. 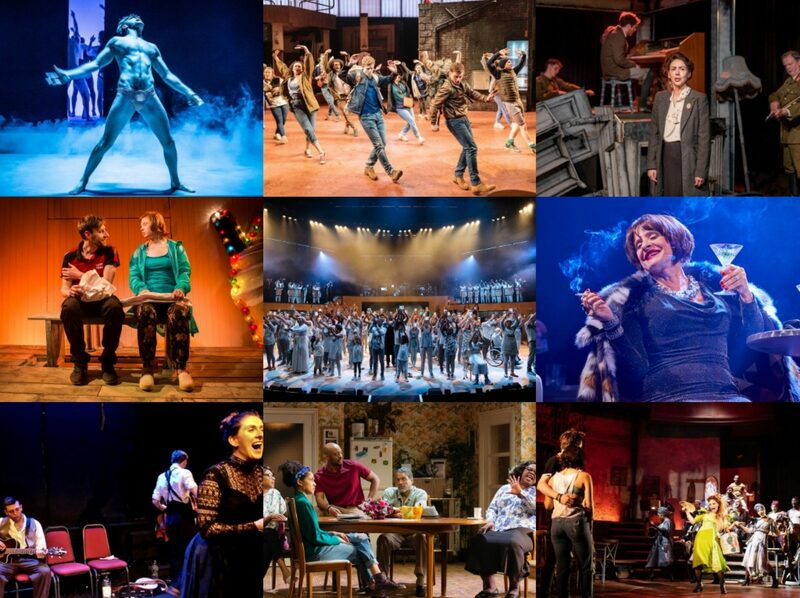 And Jeremy Herrin’s productions have to be commended for maintaining so much of the integrity and intent of the original, whilst still creating something uniquely theatrical. Poulton’s adaptations, aided by Mantel, skilfully condense the vast list of characters into something much more manageable, introduce confidants and conscience-plaguing ghosts to allow for Cromwell’s propensity for rumination but above all, they play up the humour so that there’s never any hint of dusty dryness to proceedings, the stage always thrums with the busyness (and business) of court life. Putting the two novels together makes sense in the overall arc of the pair too, tracking the rise and fall of Anne Boleyn and her fateful ambitions. As Cromwell, Ben Miles isn’t necessarily the first name that would pop into anyone’s mind, but in the end it is an extraordinarily well-judged choice for this prototype spin doctor. There’s a stillness to much of Miles’ performance which draws us into his dark eyes, always sparkling with devious manipulation as he adjudges and assesses the situations around him, trying to ascertain the best play, whether for Henry or for himself. Battling with John Ramm’s Thomas More, fighting for Paul Jesson’s truly excellent Wolsey, locking horns with the Boleyns, he makes a compelling central presence in his fearsomeness, but is also humanised by his interactions with Joshua James’ chief clerk Rafe and Jay Taylor’s highly personable Thomas Wyatt. Herrin’s use of group movement is well done to convey the complex social relationships in the court but the fast-moving pace of his direction means it is hardly necessary, there’s elegance and erudition in every entrance and exit – Lydia Leonard’s final moments as Anne Boleyn are superbly done. The cast and creative uphold the banner of the RSC well here, but it is Poulton’s adaptation that is the star, the vein of humour that is laced throughout making even the darker scenes wickedly delightful, Katherine of Aragon’s response to being asked to become a nun being one of the more memorable, Lucy Briers finding just the right level of dry disdain. Whether you’ve loved the books or they’ve remained on your shelf for ages, this comes highly recommended – book now or it’s to the Tower with you.